Engineering work from the University of Maine may lead to better state infrastructure. 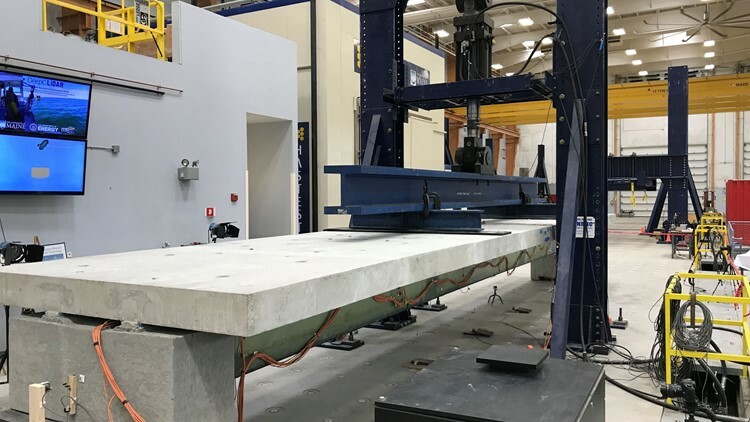 ORONO (NEWS CENTER Maine) — Building better bridges was the goal of an experiment Thursday at the University of Maine in Orono. Civil engineering students and faculty have been working for two years on a composite bridge girder that will last 100 years. Testing work happened Thursday with investors looking on. The goal: bridge building jobs in Maine. UMaine's Advanced Structures and Composites Center last month won a $14.2 million US Department of Transportation award to lead the creation of a "Transportation Infrastructure Durability Center."